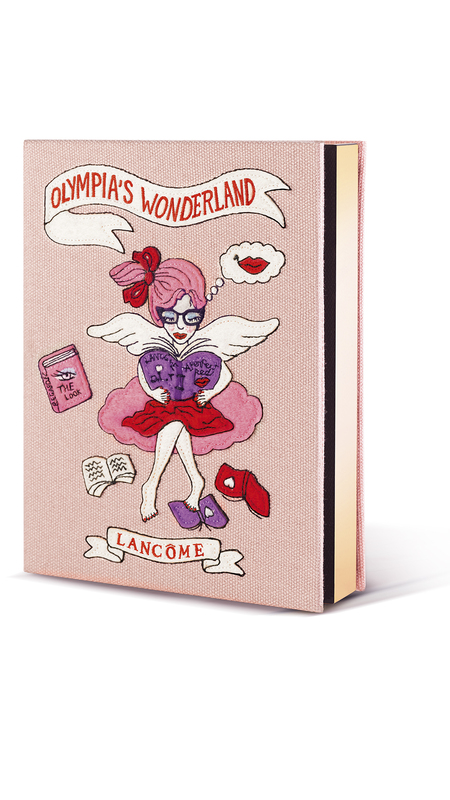 We’re all for some amazing artist and beauty collaborations, so you can probably imagine how excited we are about the new Lancôme x Olympia Le-Tan makeup collaboration. Known for creating crazy cute fashion pieces based on classic films and literature, Olympia Le-Tan is definitely an unconventional artist. And in our humble opinion, this makes her a perfect fit for the upcoming Lancôme collab. And, like all of her clutches (we’re drooling over the Psycho-inspired one) and milk bags, each item in this collection totally reflects Le-Tan’s unique approach towards fashion. To give you a closer look at what Lancôme and the artist have in the works, here are some of our favorite products from the collection. 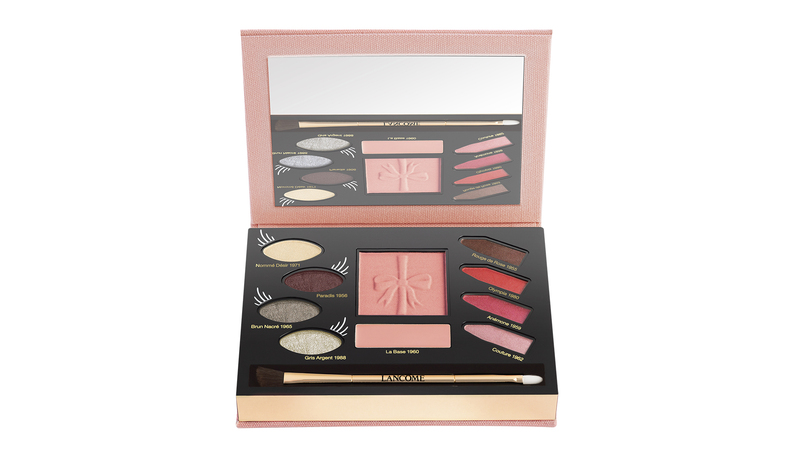 Although this beauty isn’t available just yet, expect this gorgeous palette to help you create all sorts of beauty looks. Plus, the packaging is killer, so you’ll want to put it on display for all to see. 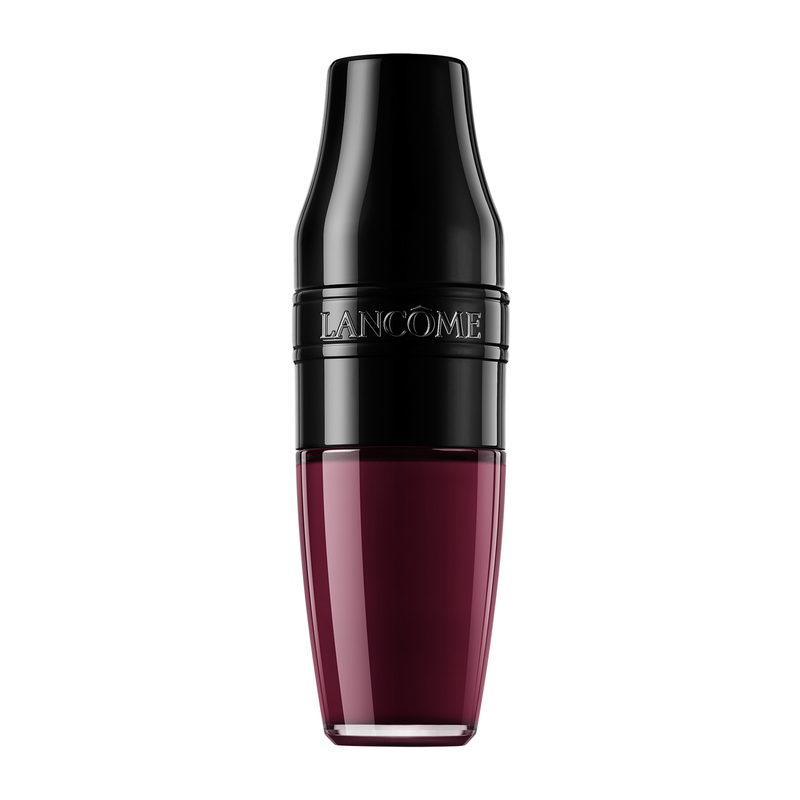 Just in case you need a new fall lip color, this vampy matte lip shaker (which will be available in two other shades — plum and orange red!) will keep your lips colorful and comfortable. 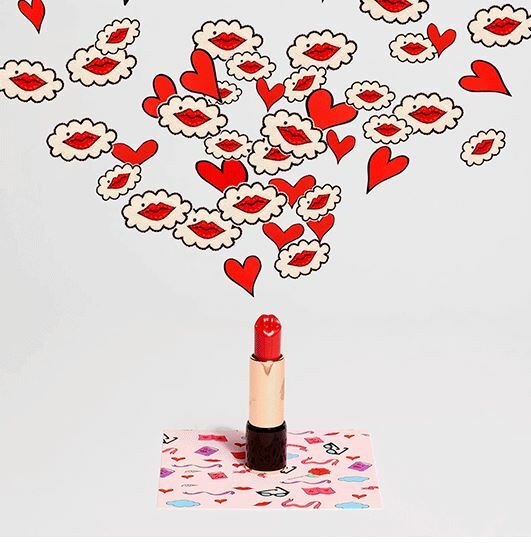 Seriously, who wouldn’t want a lipstick that is actually shaped like a pair of lips on top? It also comes in two red shades: the orange-red Olympia and the blue-ish red Rouge Profound. 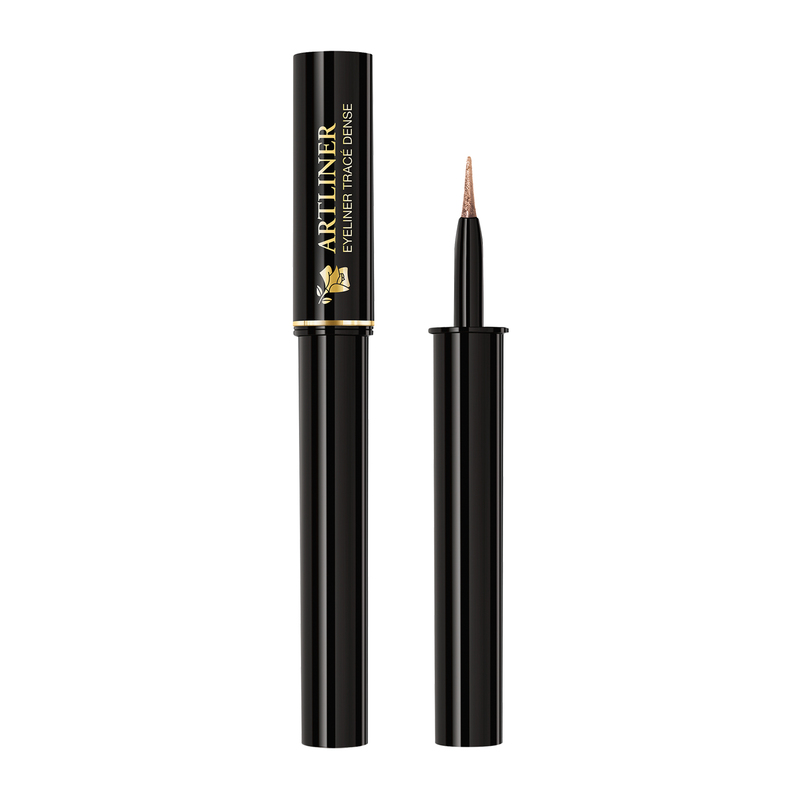 Create gold lids and feline flicks with this handy liquid liner product. The best part? There will also be a cobalt shade infused with silvery glitter. 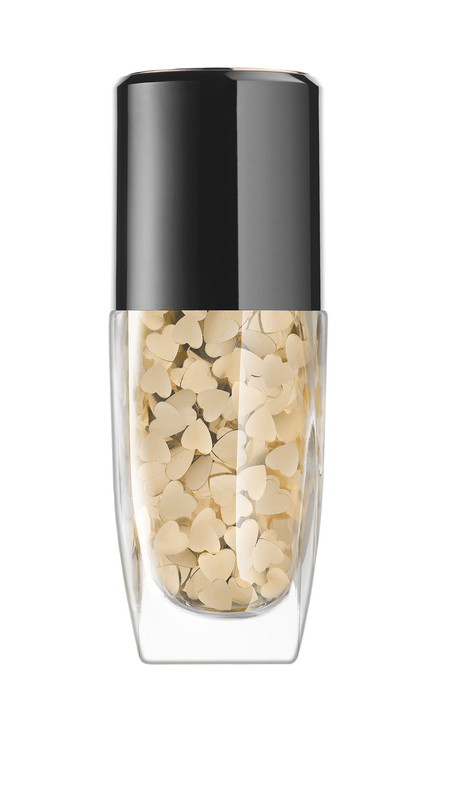 Take your nail art to the next level with this seriously adorable top coat, which treats your nails to gorgeous heart decals. 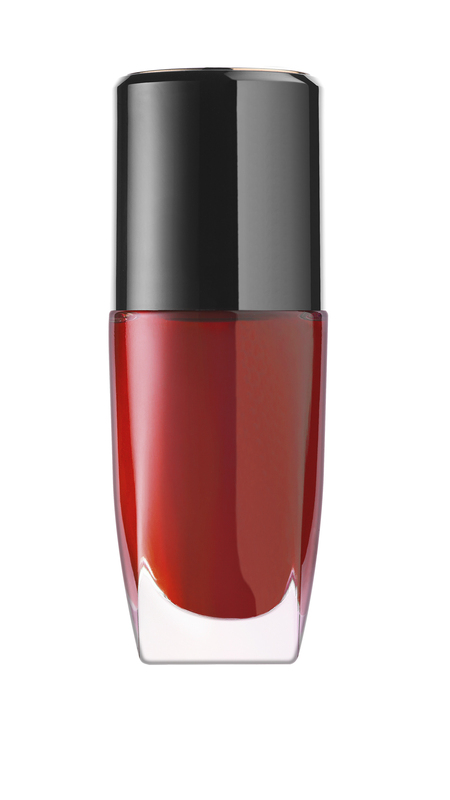 If you’re more into classic colors, expect this timeless red to keep your nails looking prim and polished. The collection also includes three other shades: blue, purple, and a shimmery silver. This launch is exclusive to Bloomingdales (and will be limited-edition). Luckily, some pieces are available now, which means it’s time to go shopping.